Situations happen all the time that call for tree replacement or transplanting, such as storms, land development, home renovations, and more. 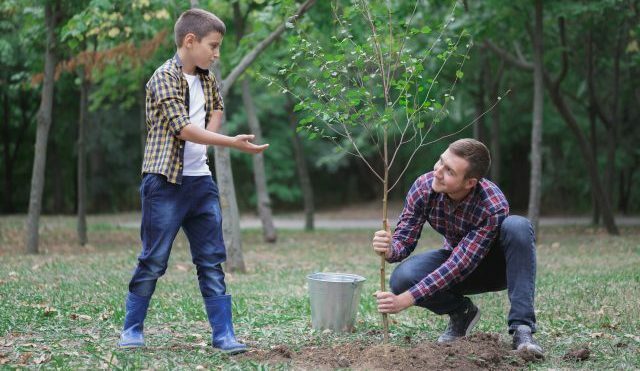 In the same position, you may be wondering whether or not you can successfully plant or transfer a tree this time of year. Continue reading to learn about fall tree planting, including the right times to plant deciduous and evergreen species. In Indiana, early fall, between late August and early October, are the best times of year to plant a tree. The reason why this time of year is best suited for tree planting has to do with the weather and root systems. Cooler temperatures support new root growth, and render stronger roots in the seasons to come. Furthermore, newly planted trees are more prone to sun scald drought, wildlife tampering, disease, and more; so planting them in the fall when the weather is mild can encourage a higher survival rate. This rule of thumb does not always apply every year since seasonal weather conditions can sometimes be unpredictable or inconsistent in Indiana. It really just depends on the type of fall we are having. So long as the hottest temperatures of summer are past, and the ground isn’t frozen yet, the conditions should be suitable for tree planting. Also, certain species of trees are better planted at certain times in the fall. For instance, Maple trees should be planted in fall, while species like Birch, Dogwood, and Willow trees require more time to establish root systems, so they are better off planted in the spring. As for fruit trees, these also need to be planted in the spring to avoid winter weather damages. Call Complete Tree Care at 317-783-2518 for experienced Indianapolis tree transplanting and removal you can trust. We offer a wide range of residential and commercial tree work, including tree removal, trimming, pruning, stump removal, lot clearing, and more. Call 317-783-2518 to request a free estimate, today. Sometimes a tree can be a hazard to its surroundings. In order to know whether or not a tree is dangerous, you will need to have it inspected by a licensed and qualified tree service company. They alone have the knowledge and experience to make an accurate determination of your tree’s condition. Prior to contacting a tree professional, you can make your own assessments by taking a closer look at your questionable tree. Continue reading to learn the signs of a dangerous tree, and which steps you should take if you suspect yours could be a hazard to people, pets, and property. Trees that are prone to being a hazard are usually those that have not had a healthy upbringing or have been exposed to certain conditions. 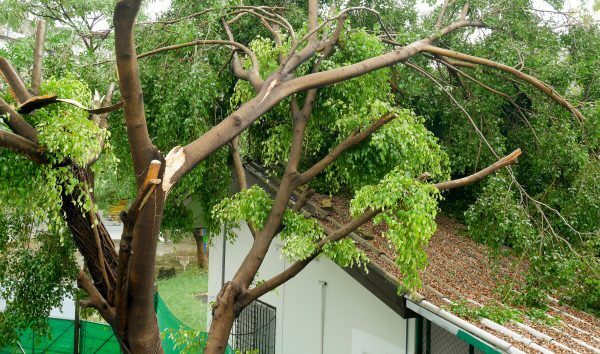 There are many external factors that can lead to tree failure, and ultimately, property damage or injury. Common factors include tree disease, pest infestations, nuisance wildlife interference, land development, construction, lawn care, landscaping work, inclement weather (droughts, wind, ice, storms, etc. ), vandalism, pollution, and more. Other times, factors can be internal, involving a tree’s health or makeup, such as co-dominant stems, basal rot, heavy and/or overextended limbs, nutrient or water deficiency, and more. Whatever cause has led to a tree’s decline, the most important aspect is catching the signs on time, before any harm can take place. Once you do catch the signs of a hazardous tree, it is necessary to have it inspected by a licensed Indianapolis tree service contractor for expert evaluation and assistance. Call Complete Tree Care at 317-783-2518 for experienced Indianapolis tree removal service you can trust. We offer a wide range of residential and commercial tree work, including tree removal, trimming, pruning, stump removal, lot clearing, inspections, and more. Call 317-783-2518 to request a free estimate, today. 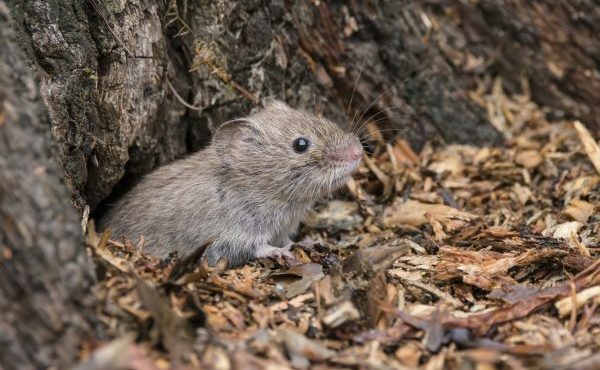 If you have ornamental trees in your yard, you may be at risk of a common nuisance wildlife occurrence known as vole girdling, which generally becomes a problem around fall and winter. Voles will chew the bark of planted and ornamental tree trunks, causing extensive bark and tissue damage. If you want your trees to grow tall and strong, you must put a stop to any vole activity on your property. Continue reading to learn the most effective method for protecting your trees from nuisance voles. Girdling is basically a chewing action. Voles will nibble and chew at tree bark and roots when there is not much else around for them to eat. This is why tree girdling is most noticeable in the early spring, once all the snow melts away. The most common trees targeted are fruit trees, especially apple trees, chestnut trees, and even junipers. Signs of vole girdling are often very easy to discern. Look for wide patches of missing bark near the base of tree trunks, or on tree roots. Although not necessarily a sign of girdling, a common sign of a vole infestation is large spots of dead grass in your lawn. If you know you have a vole problem, you can prevent tree girdling more effectively by taking action before the damage can occur. The best way to prevent tree girdling is to mitigate the nuisance wildlife activity on your property. This includes making any necessary environmental modifications, and even hiring a professional wildlife abatement company for animal proofing services. Effective environmental modifications basically entail removing any food, water, and shelter sources used by nuisance wildlife. This includes making sure your lawn is cut very short. The less underbrush and ground cover, the less places voles have to hide. When it comes to protecting gardens and fruit trees, you may want to try installing a type of fence or barrier. For instance, homeowners have had success with vole control by installing hardware cloth cylinders around the base of tree trunks. For best results, use a mesh fencing that is 1/4 inch or less in size, and bury it at least 3 inches into the ground. Call Complete Tree Care at 317-783-2518 for Indianapolis tree service you can trust. We are highly trained and experienced tree care technicians that offer commercial and residential tree services at affordable prices. Request an estimate or advice anytime. Call 317-783-2518 to learn more about tree care in Indianapolis, IN today. Just like most living organisms on the planet, trees need micro and micro-nutrients to survive. 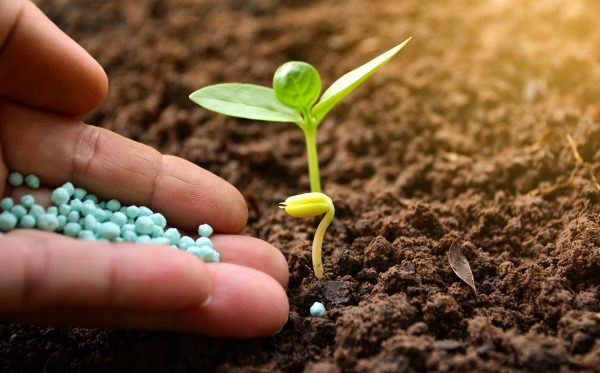 Tree fertilization is a common tree care practice that provides supplemental nutrients for newly-sprouting and young trees. Continue reading to learn more about tree fertilization, including it’s many benefits. The most common reasons why tree are administered fertilization treatments include aesthetics, strength, and longevity. Tree fertilization provides added nutrients, which in turn help a tree grow strong and healthy, and live longer. Not only does this help a tree look beautiful and rich in color, it gives the tree durability and an increased resistance to inclement weather, disease, pests, nuisance wildlife, and other forms of environmental bearings. Trees require both micro-nutrients and macro-nutrients, but they use more macros than micros. Macro-nutrients include elements like nitrogen, phosphorus, calcium, magnesium, potassium, and sulfur. Micro-nutrients are made up of nitrogen, zinc, copper, magnesium, chlorine, molybdenum, and boron. Although a tree does not need as many micro-nutrients, without a sufficient amount, they will experience vulnerability or decline. Without the proper levels of macros, trees will also greatly suffer, and at a much faster pace. Tree fertilization helps to make up for any nutrient deficiencies that might be at play. Protect Your Trees With Routine Care! 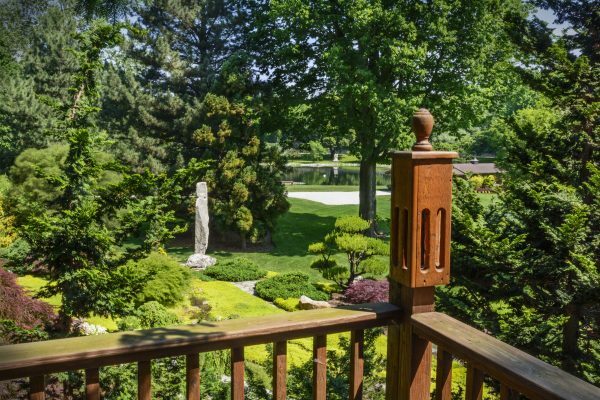 Call Complete Tree Care at 317-783-2518 for professional Indianapolis tree service you can trust. We serve all of Central Indiana with a wide range of skilled tree removal and tree care services, for both residential and commercial properties. Whether you need a single tree removed, or simply require routine tree service, like trimming or pruning, we can deliver prompt and professional service at a fair price. Request a free estimate, today. Are some of your trees looking worse for wear these days? Have you noticed some foliage loss or increase pest activity around your favorite shrubs? It could be a result of a tree disease or natural health decline. 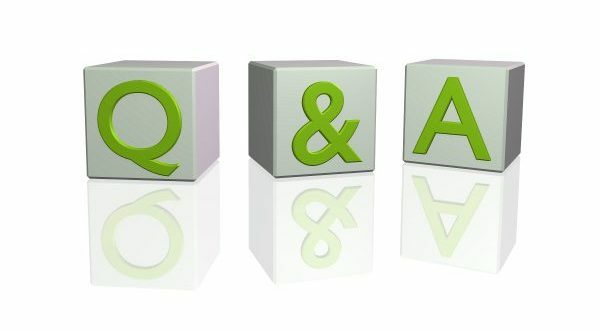 Continue reading to review some of the most common questions about tree diseases and tree care, including their answers of course! You can tell if a tree is dead or alive with a few different methods. The easiest DIY method is the twig test. Snap off a branch and look at the tissue inside; if the twig is dry and brittle, snaps easily, and has dull or brown colored tissue inside, it is likely dead. If the twig has some bend or tension to it, and retains green or yellow tissue inside, it is likely still alive. Keep in mind that a dead or dying tree is a dangerous one, and should be treated or removed as soon as possible. The best way to determine the condition of a tree is to hire a licensed Indianapolis tree service company to make the determination for you; they can do this in just one quick visit. Is Moss Bad for a Tree? When moss grows on trees, it can create a multitude of problems. It is best to remove the moss in a safe way to protect your trees. To remove moss from trees, you will mostly have to manage the water and moisture in your yard. Be sure to water your lawn less often, and avoid soaking the tree trunk and tree bark during the grass-watering process. It also helps to treat your soil so that the pH levels fall within the proper parameters. Use a soil testing kit to test the pH levels in your lawn, and then adjust them accordingly. Oak Wilt is a debilitating vascular fungal disease that affects all species of oak trees. It is caused by a fungus that enters and obstructs a tree’s inner vascular system where water and nutrients are distributed throughout the tree. It can be challenging identifying symptoms of this tree disease since live oaks and red oaks exhibit different signs of oak wilt. The most common sign in a live oak is veinal necrosis, which is evident when leaves develop chlorotic and necrotic veins, causing the leaf veins to turn yellow and brown, and then fall off. Red oak trees infected with oak wilt do not experience veinal necrosis. Instead, leaves simply wilt and turn colors of pale green, brown, and bronze; but they do not usually drop off. The most common treatment for oak wilt is a series of bimonthly fungicide injections called Propiconazole, which is applied through macro-injection of the root flares. Winter burn, also known as desiccation, is a potentially-fatal seasonal problem among evergreen trees. The most common causes for winter burn are insufficient levels of moisture in soil, freezing temperatures, and inclement winds. The signs of winter burn vary depending on the species of tree, however, gradual scale (ombre) needle coloring tends to be the most common. Are Pests a Problem for Trees? You definitely need to think about proper pest and insect control for your trees. Beetles, borers, mites, wildlife, and even tree diseases can quickly affect the health of a tree in the worst way. For instance, leaf-eating insects inhibit the tree’s ability to carry on the process of photosynthesis, thus rendering the tree sick and weak. It requires a professional arborist to positively identify, diagnose, and treat insect infestations and tree diseases. My Tree Gets Water and Sunlight. So Why is it Unhealthy? Trees don’t just flourish on water and sunlight alone. They also require a sufficient amount of nutrients, or tree food, for optimal growth and survival. Trees source their nutrients from the surrounding and underlying soil. Which means poor or inadequate soil conditions can cause adverse changes in a tree. If you suspect that your tree is suffering from a lack of nutrients, try fertilizing it to regain its strength and stability. Where Can I Find Reliable Tree Service? Call Complete Tree Care at 317-783-2518 for experienced tree service in Indianapolis and throughout Central Indiana. We offer a wide range of residential and commercial tree services, including tree removal, tree trimming, stump grinding, stump removal, lot clearing, and more. If you want professional and efficient service you can trust, Complete Tree Care is the right call! If you have a newly planted tree, it is important to understand and implement daily root care. Continue reading to learn what you need to know about taking good care of your tree’s roots in order to promote strong, sturdy growth for years to come. Although they are the least visible part, roots are highly important to the overall health and sustainability of a tree. That is because they are responsible for transporting nutrients throughout a tree. The better care you take of your tree’s root system, the better foundation they are able to create for your tree. 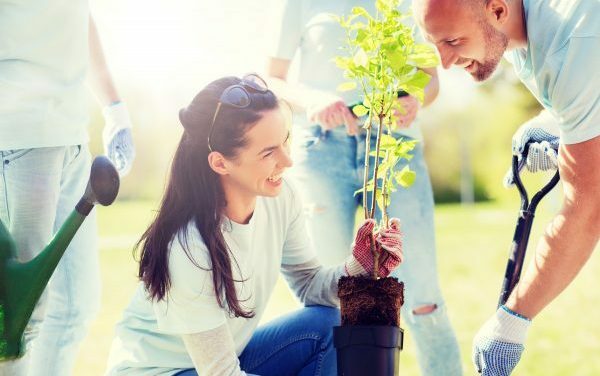 You may not be able to protect your tree from every type of damage, but there is plenty you can do to promote optimal growth and health with routine root care. And it all starts with the soil. Be sure you are regularly watering your newly planted tree. But keep in mind that too much water can be just as harmful as too little. Use your best judgement to determine when and how much water your tree needs. A general rule of thumb is to check the soil for moisture. Healthy soil is moist, not soggy, mushy, or soaked. If the soil is still adequately moist three inches down, the tree does not need a watering. Just be sure you check it every day by digging 3 inches deep with a garden trowel and touching the soil with your fingers. In addition to checking for soil moisture every day for the purpose of watering, it is also important to inspect the soil conditions to ensure it is health. As mentioned, healthy soil is moist, not soggy. For the first few months, it is wise to assess the soil’s moisture levels to confirm it is still conducive to healthy root growth. Do this by locating the tree’s dripline, digging a small hole, and inspecting the malleability of the soil. Read our blog, “How to Measure a Tree’s Critical Root Zone”, for help locating your tree’s drip line. If the soil can be formed into a ball, it is healthy. At least one time a year, you should manually cultivate the soil beneath your tree. You can accomplish this with ease by using a standard hand cultivator to cautiously loosen the top 2 to 3 inches of soil. This eases compaction, thus allowing water and air to reach the roots. Soil compaction is one of the most common causes for tree decline. Furthermore, it is important to apply a new layer of mulch to the base of your trees right before every spring season. Mulch is incredibly important to root care for many reasons. Not only does it protect against sun scorch and excessive heat that dehydrates soil, it also acts as a barrier to physically protect exposed roots. Additionally, mulch adds valuable organic matter to the soil. Just be sure to not exceed 2 to 4 inches of mulch, and keep it 6 inches away from the trunk of the tree. 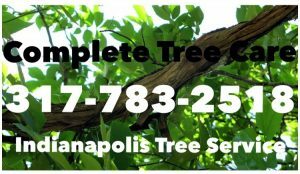 Call Complete Tree Care at 317-783-2518 for Indianapolis tree service you can trust. We are licensed and insured tree care contractors who serve both residential and commercial properties with a wide range of professional tree care services, including stump removal, lot clearing, storm damage clearance, and more. Request an estimate, today. Complete Tree Care is an Equal-Employment Opportunity Employer! Are you looking for fun and challenging career with growth opportunity and great wages? If so, we may be the right fit for you! Here at Complete Tree Care, we are an equal-employment opportunity employer. Any status protected by law does not influence our decision to recruit, hire, and train new employees. This includes race, color, ethnicity, religion, gender, sexual orientation, marital status, veteran status, disabilities, political party, and more. Furthermore, we use strict, non-discriminatory consideration for all prospective employees. Right now, we are looking for motivated, hardworking individuals interested in a satisfying and lucrative career in tree service! We currently have positions available for groundsmen, climbers, and bucket operators who have experience in tree service. This is a terrific, year-round job opportunity and we have immediate availability! If you would like to be considered for employment at Complete Tree Care, please click the image below to fill out and submit the job application form. Our expert tree care contractors provide a wide range of residential and commercial tree services, including tree trimming, tree pruning, thinning, fertilizing, deep root feeding, crown reduction, crown raising, storm damage clearance, stump removal, and much more. We also offer major tree work, such as tree removal, dead-wooding, lot clearing, and more. On top of a wide selection of tree care services, we also offer free estimates, free advice, and cleanup is included on every job. We retain a full inventory of innovative equipment and materials that allow us to deliver outstanding results, safely and efficiently. Give us a call during regular office hours at 317-783-2518 to speak with a friendly and knowledgeable company manager about the job requirements and scheduling an interview. You may also send us an email at completetreecare@comcast.net. 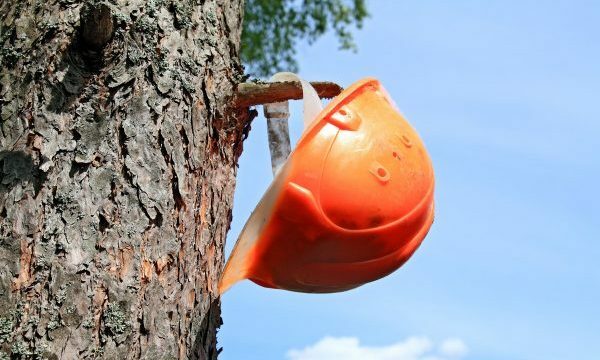 Posted in Tree Care	| Tagged jobs tree work Indianapolis, tree climbers Indianapolis, tree removal company Indianapolis, tree service jobs Indianapolis, tree service jpb application	| Comments Off on Complete Tree Care is an Equal-Employment Opportunity Employer! One of the most common questions about trees has to do with their secretions. Sap and resin, although similar in thought, are actually quite different from each other. Continue reading to learn some interesting facts about tree resin and tree sap, including the qualities that make them so different. All trees produce a “sap”, to some degree. Tree sap is a translucent, thin, watery, slightly amber colored substance (just a tad little thinner than standard honey) that develops within the xylem and phloem cells of the trees. These cells are responsible for transporting water and nutrients throughout the tree, and carry water, hormones, sugar, and other minerals elements. As a result, sap contains sugar and water, and extracted from trees using buckets and spiles. Maple syrup comes from the sap of Maple trees. A tree uses sap in two ways; they either: 1) pull sap from the water in the soil, transport it up through its trunk, and send it out through its leaf pores (stomata), or 2) sap flows down off of the leaves, towards the roots and other parts of the tree, because it contains the vital sugar (food) the tree synthesized in its leaves during photosynthesis. 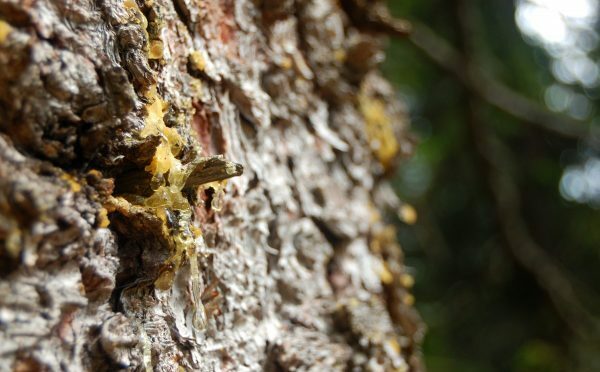 Also known as “pitch”, tree resin is thicker, tackier, and darker than tree sap. Deciduous trees do not make resin; it is only produced by trees that belong to the Pinaceae family, such as pine, fir, and cedar. Resin forms in the outer cells of the trees, also known as the inner and outer bark. Outer bark is also known as the phloem. You can make a cut into a resin-producing tree, and see the resin ooze out of the bark. The resin is meant to work like a scab; it closes up the wound and protects it from outer elements while it heals. Resin is sticky and clear, and composed differently than tree sap. It is composed of compounds secreted by or deposited in the tree and sometimes contains high levels of chemical properties. For this reason, it is used for a variety of commercial and industrial applications; maple syrup is not one of them. Resin is used to manufacture commodities like ink, lacquer, varnish, jewelry perfumes, and many other commercial products.